Despite SHA's views on footballers' behaviour on the pitch, there are parallels to be drawn between leading a football team and a school. Crispin Andrews heard what Alex Ferguson had to say during a visit to Ashton on Mersey School, and asked SHA members whether they agreed. 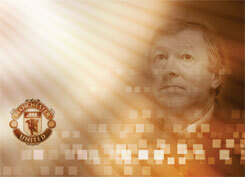 Few leaders have proven as successful in their field as Sir Alex Ferguson. Over the last 20 years he has transformed Manchester United Football Club from perennial underachievers into one of the top teams in Europe. Recently Sir Alex made a surprise visit to Ashton on Mersey School in Salford, Manchester United's educational partners. During an address to staff and pupils, Ferguson outlined his guide to effective leadership. "Distinguish between control and power," he said. "Getting things done is important, but you want to gain respect, not instil fear. "Delegate so you can observe what is going on around you. Trust others to do their jobs, whilst standing back to consider the quality of what is being done and the direction in which things are going." Although Sir Alex insisted that an effective leader doesn't change as a result of external criticism, he did suggest that defeat should be analysed. "Consider what might be learnt from setbacks in order to improve, but never make panicky responses," he advised. "When making important and difficult decisions be decisive and if you believe in what you are doing, stick to your guns." Finally the Manchester United chief urged leaders to look after themselves and to remember small things, like people's first names. "Watch your diet, sleeping hours and how you present yourself to people," he concluded. "Try to make all staff feel like an important part of the team." These principles have been the foundation of Ferguson's success over the years. But are the ways of one the most successful football managers of all time relevant to the business of leading a school? Are there lessons school leaders can learn from leadership on the pitch? Tarun Kapur, head at Ashton on Mersey, believes there are. Soon after arriving at the school, the former PE teacher locked himself away in his office and spent an hour or so labelling up the staff photo. "I wanted to make sure that when I first spoke to someone, I knew who they were and what they looked like," he says. "Personalising early contact in this way had a major impact on developing good working relationships with staff." Like Alex Ferguson, Tarun thinks that a good leader must be decisive. He explained how in his own experience, the right time to act decisively is actually when things are going well. "Standards improve over a period of time as a result of action taken, reach a peak and then begin to decline as other new factors come into the equation," says Tarun. "To sustain progress long term, it is important to make decisive changes just before this peak is reached." His first big decision was to change the structure of the school day. While five extra lessons a week were created by taking ten minutes off each existing one hour session, the majority of teaching - four lessons - would now be done in the morning. With a shortened lunch time, only a further two periods would take place in the afternoon. Despite the fact that this change was initially unpopular among staff - who would have extra preparation and marking to do - Tarun stood his ground. He believed people were capable of teaching what was required in 50 minutes and that the extra lessons would give a much needed boost to core subjects. It paid off. Academic standards have risen dramatically and GCSE A*-C grades have doubled in the last seven years. Being decisive at the right time, even in the face of opposition, resulted in a system capable of producing more efficient results. According to David Brown, executive head of Hampstead Hall and College High School Federation, in Birmingham, evaluating your successes and setbacks is just as important in a school as it is at a football club. To encourage staff to learn from their experiences, he gives them some reflective space. As well as analysing their own practice, teachers are able to observe and learn from others, both inside and outside of their school. Over the question of control and power, however, David Brown does - for pragmatic rather than ideological reasons - take issue with the Ferguson way. "A football manager has to maintain a direct relationship with a small group of players and support workers in order to win matches," he explains. "With 220 staff, not to mention a couple of thousand students, it is physically impossible for me to do this." David prefers a system of distributive leadership, whereby teachers at each level are empowered to meet the needs of their students, creatively. "Teachers are not going to see themselves as leaders if they have to run everything past me before a decision can be made," he adds. "If they are going to develop the confidence to be decisive they can't have me constantly looking over their shoulder." Within this system, the head is a facilitator, giving staff the freedom to innovate, while making sure they remain aware of the core purpose of the school. All their creativity and innovation must, after all, be directed towards a core purpose. Delegation is also a leadership tool used by Sue Moore, head of Queen Elizabeth II School on the Isle of Man. But for her, it is a question of when and how much. "As a school leader you are conscious that people are busy but you also want things to work well," she says. "Yes, you don't want to appear to intervene in everyday matters, but at the same time if you sit back too much, people can perceive you as lazy or uninterested." She sees her task as essentially to mould a group of individuals - not all of whom will necessarily think alike, or even get along - into an effective team with a shared core purpose. Not unlike a football team. Knowledge of football is not essential to appreciate the Ferguson guide to leadership. Pauline Thomas, head at Abertillery Comprehensive in Gwent, has no real interest in any sport, yet can see much that is transferable from the Old Trafford pressure-cooker to the day-to-day stresses and strains of her own situation. "Whatever you do, someone will always be unhappy," she says. "If you want people to take you and your decisions seriously it is important to stick to your guns when you believe you are right." Pauline's first major battle as head was against the jewellery culture that had grown up in the school and the community. On health and safety grounds, the new head decided to ban it. Newsletters were sent to parents and a period of warning was given, yet when the cut off date came, many ignored it. Some students even wore more of the stuff - a deliberate act of defiance. So as not to damage pupil-staff relationships, Pauline instructed staff not to confront students, but to send them straight to her. However, when the three days she put aside in her diary to deal with the fallout became a week, and then two weeks, she began to wonder whether she had done the right thing. "It wasn't until a member of staff came into my office beaming about how well the jewellery initiative was going, that I gained the confidence to stick with it," she says. "I had been seeing so many pupils and parents that I thought that I had bitten off more than I could chew and was about to throw in the towel." Ferguson's comments on maintaining personal well-being and image also strike a chord with Pauline. She believes that it is important not to over work both her staff and herself. "I prefer to stay behind for a couple of hours after school than to take work home with me in the evenings or at weekends," she says. "If I am working late into the night I can't sleep and then the next day, fatigue sets in, preventing me from concentrating properly. I say the same thing to my staff." Echoing the sentiment of Sir Alex Ferguson, she adds: "If I come into school looking worn out and defeated, it will soon rub off on staff and eventually the students. Presenting yourself in the right way is the first step towards creating a lively atmosphere and a positive environment within the school." It appears that all these SHA members are able to relate with aspects of the Ferguson guide to leadership. Let's just hope they draw the line at kicking cups of tea at their star performers.